PARIS (Reuters) – An assailant shouting "Allahu akbar" killed a passer-by in a knife attack that also wounded four others in the heart of Paris late on Saturday before he was shot dead by police, French authorities said. France "will not yield an inch to the enemies of freedom," President Emmanuel Macron said after the attack, praising officers for "neutralizing the terrorist." 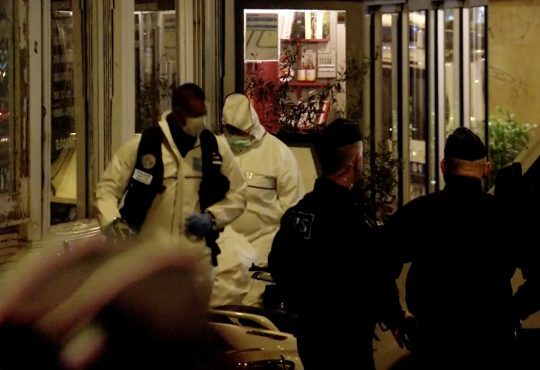 The first call to police was placed at 8:47 p.m. local time (1847 GMT), officers were on the scene within five minutes, and the attacker was "neutralized" within nine minutes of that first call, Prime Minister Edouard Philippe told reporters. Police union representative Rocco Contento told Reuters that the assailant, after attacking bystanders with a knife, rushed at police shouting "I will kill you, I will kill you!" Prosecutor Francois Molins told reporters the police's anti-terrorism unit would launch an investigation, given the aggressor's "mode of operation." The identity of the attacker man was not yet known, officials said early on Sunday. French Interior Minister Gerard Collomb called it an "odious" attack. "We were told to get into a bar quickly. I was curious and went outside again. Outside, I saw a person on the ground about 200 metres from me. The police, fire brigade and ambulance arrived," one female witness told LCI television. "I could not see anything else after that." This entry was posted in National Security and tagged France, Terrorism. Bookmark the permalink.